Accommodation Photos: When checking availability you will be able to view photos. Weekly Rates: 15% discount for reservations 7 days or longer if you select Weekly Discount from the “Available Rates” checkbox. Online Booking: Your online reservation is made via our secure SSL connection and will accept all major credit cards (VISA, MASTERCARD; DISCOVER; AMERICAN EXPRESS). You may also send us funds via Paypal or Bank Wire (US bank); contact us for more details. Upon successful reservation booking a 27% deposit holds your reservation. You will receive a confirmation email with Pre-Arrival information regarding your stay at El Camino del Sol and getting here. Balance of Payment: Balance is due upon arrival; We cannot accept credit cards for balance. When paying cash please use US dollars or Nicaraguan Cordoba only; ATM’s are readily available in town, Travelers checks are not accepted in Nicaragua. 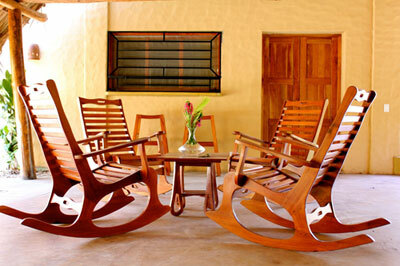 Extended Stay Rates: Nica Yoga offer special rates for extended stay guests. Please contact us at joe@nicayoga.com if you are staying longer than one month. Pets: Pets are allowed in certain rooms with notification. Your deposit is refundable if you cancel prior to 72hrs in advance of your reservations. Cancellation fee is $50 or 10% of your deposit (whichever is greater) for all cancellations. Cancellations must be made greater than 72hrs in advance of your reservation to receive refund, minus cancellation fee; Deposit becomes non-refundable for cancellations made less than 72hrs in advance of check in date.